In a post on Facebook says Ulf Kristersson told the christian democrat Ebba Busch Thor to open up for negotiations with the SD in the individual sakpolitiska questions. The news represents a broken election promise to the christian democrats-the voters and has been condemned out of the previous Allianskollegorna the Centre party and the Liberals. ”I am deeply disappointed with the developments in the KD and the choices they make,” wrote Annie Lööf (C) in a post on Facebook after the announcement. 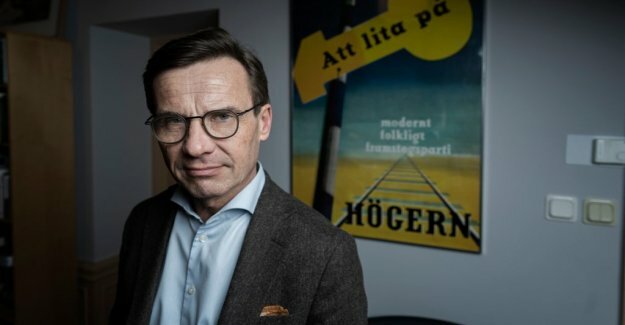 In Ulf Kristerssons post he writes, inter alia, that ”the Conservatives will not become part of the something new 'nationalkonservativt block' in Swedish policy or form a government with The sweden democrats.” The reason, he writes, is due to the parties lack a common, basic values. Ebba Busch Thor has the right to the party to be able to talk with all the parliamentary parties in order to reach a common understanding of individual sakpolitiska questions. after an interview in DN, where Ebba Busch Thor says that she has changed the perception of cooperation with the SD after the parliamentary situation which has arisen after the autumn elections, a message that represents a broken election promise. "It is clear that I can feel the concern that some voters will feel that we are failing," says KD-leader Ebba Busch Thor to DN. However, the KD-leader that the party will not cooperate with the SD around the budget. – A budget should be put together with the parties, that it is close to ideologically. Right now, we cooperate very close with M and we want to cooperate with and form a government with C and L, " she says. the DN has sought Ulf Kristersson for further comment, but referred to the current post.